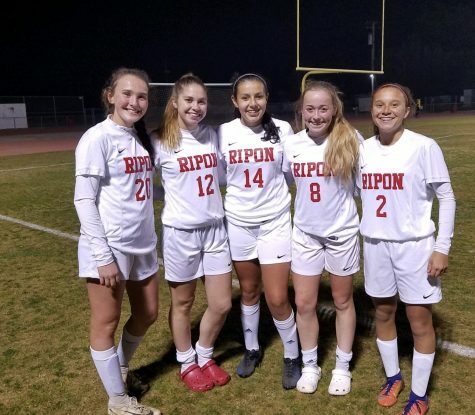 The Ripon High School Indians girls soccer team(1-3-1) took second place in the annual Ripon Christian Soccer Tournament after losing in a shootout in the championship game against Hilmar with a score of 5-6. The team took on the likes of Hilmar (8-1-4), Orestimba (3-2-2), and Escalon (3-1) throughout the tournament, beating both Orestimba and Escalon. The Ripon girls soccer team will be facing off against crosstown rivals the Ripon Christian Knights on Friday, December 22. Be there and show some support for this small town rivalry. Are you a self-diagnosed social media addict?